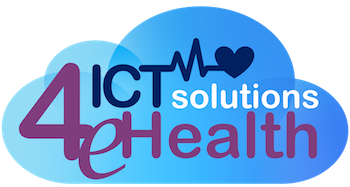 ICTS4eHealth 2016 is the first International IEEE Workshop dedicated to ICT solutions for e-Health, especially based on Cloud computing, Internet of Things (IoT), and Computational Intelligence. 1. Prepare your final manuscript carefully addressing all the reviewers' comments. PLEASE NOTE: for the final camera ready ready submission all the paper should be formatted using the current IEEE conference paper template available here. 2. The author must ensure compliance with IEEE PDF Express by following the PDF PREPARATION INSTRUCTIONS below. 4. The contact author must complete the IEEE Copyright form. Copyright form must be filled out for each paper and not per author. We do not accept paper-based copyright forms. 5. To be published in the IEEE ISCC 2016 Conference Proceedings and to be eligible for publication in IEEE Xplore®, an author of an accepted paper is required to register. Each paper accepted for the main conference must be registered with a Full Registration (either IEEE Member or Non - IEEE Member). Each Full registration can have a maximum of two papers associated. Notice that the Student Registration (either IEEE Member or Non - IEEE Member) is not applicable for authors. Each paper accepted for IEEE ISCC 2016 Workshops must be registered with a Workshop Registration (either IEEE Member or Non - IEEE Member). Each Workshop registration can have a maximum of two papers associated. Notice that the Student Workshop Registration (either IEEE Member or Non - IEEE Member) is not applicable for authors. We remark that the IEEE ISCC 2016 main confrerence and IEEE ISCC 2016 Workshops are co-located events that require separated registrations, so that it is not possible with only one registration (Conference or Workshop) to register both one paper for the IEEE ISCC 2016 Conference and one paper for an IEEE ISCC 2016 Workshop. In order to be included in the IEEE ISCC 2016 proceedings, each paper must be presented by an author of that paper attending the conference unless the TPC Chairs grant permission for a substitute presenter, arranged in advance of the event, and who is qualified both to present and answer questions. Non-refundable registration fees must be paid prior to uploading the final IEEE formatted, publication-ready version of the paper. For authors with multiple accepted papers, one FULL registration is valid for up to 2 papers. Accepted, registered, and presented papers will be published in the IEEE ISCC 2016 Conference Proceedings and submitted to IEEE Xplore® as well as other Abstracting and Indexing (A&I) databases. • Incorporate the reviews into your manuscript and prepare the camera-ready submission. • Avoid Asian fonts and other unsupported fonts/characters to ensure PDF compliance. • Proofread your manuscript to make sure that there are no typos and missing/bad characters. • Create an IEEE PDF Express Account by logging into http://www.pdf-express.org/. Enter the following Conference ID = 38395X and your email address and password. • Continue to enter information as prompted. • An online confirmation will be displayed and an email confirmation will be sent verifying your account setup. • Previous users of PDF Express need to follow the above steps, but should enter the same password that was used for previous conferences. Verify that your contact information is valid. • For questions about PDF Express, IEEE customer support can be contacted http://ieee.custhelp.com/app/answers/list/p/12. It might take up to 3 business days to get support through this site. The conference will be held at the University of Messina, Messina, Italy. Please refer to the Conference Venue and Travel Info on the IEEE ISCC 2016 website for any participating information including Workshop venue and travel.